Another great episode, full of surprises! Pierre Chang (aka. Dr. Marvin Candle) – the guy from the films that were first seen in the Hatch, was the announcer for Hugo’s award presentation. …And it sure seemed like that might have been a memorial service. Good to see Michael again. And glad to finally get an official explanation for what those whispers were. I know most everyone knew the whispering was a precursor for someone dead appearing, but it was good to find out that they are “the ones that can’t move on”. Perhaps when this all resolves, they’ll be able to move on. I think it’s also likely they’ll eventually all help take down the man in black. GREAT to see Libby. No real explanation for how the “real” Libby (as opposed to the “sideways” Libby) go into the mental hospital, and come to think of it no real explanation of how Libby started seeing the “other” universe. I really liked how they put that together. Ilana blowing up was a shocker. If we go by the LOST mythos for when people die on the island (and Ben’s observation later) was “done” with what she had to do there. Perhaps she’ll be back to help as a ghost? That spear Locke is carving… what is he planning on using that for? Anything? Maybe the stick is just a stick. I thought it was interesting that Sayid admitted he didn’t kill Widmore’s people… I didn’t say this last episode when it happened, but maybe there could some good left in him? Anyone know what that red book was that Hurley found in Ilana’s belongings? I thought it was interesting to see that the Jacob’s ashes are now in Hurley’s possession. We’re going to be seeing more of that bag. Wasn’t the guy behind the counter at Mr. Clucks a former actor on “Freaks and Geeks”? Sure looked like it. Desmond meets with Hurley, and gives him a little push in the right direction to find out what’s was going on with Libby. Desmond’s order number “42” was a nice touch. Does Desmond really think UnLocke is really John Locke? Ben’s observation about Ilana and wondering what the island will do with everyone else is interesting too. Will they be killed? Let go, free to leave? Will they pull a Klinger and stay even though they’ve been desperate to leave? The Black Rock blowing up… Sure didn’t see that coming. I liked Hurley’s observation: “Dead people more reliable than the live people”. There was an island on the chalk board at the mental institution. A different kid shows up, and freaks out UnLocke. Are these kids that were originally on the island? Why in the world does Hurley want to take everyone to see Locke? 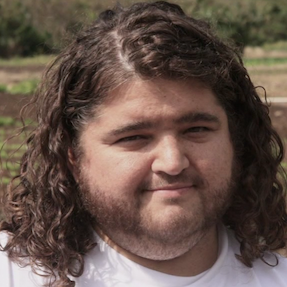 Nice move by Richard trying to get Hurley to tell him that the island is a bottle. Speaking of Richard, now that Ilana blew up, Richard’s about the only one that knows what’s going on. Richard, Ben and Miles leaving…. I think it’s a mistake that they went off by themselves. It’ll probably end up getting them killed. Michael wants Hurley to tell Libby that he’s “very sorry”. Why haven’t we seen Libby yet? Has she been able to move on? Good to see that Hurley and Libby got that date on the beach. When they kissed, all those memories came flooding back to Hurley. That’s probably the key thing to people remembering: Love. When UnLocke and Desmond made it to that well, it was a foregone conclusion that Locke was going to dump Desmond into it. And if you saw the previews, you know that it didn’t kill Desmond. UnLocke also said that it wasn’t the only well on the island. Also good to see that UnLocke is a little unnerved that Desmond isn’t afraid. Jack sure looked surprised when he saw UnLocke, didn’t he? And Sun was disappointed not to see Jin. And what about Desmond slamming into Locke in that wheelchair? Wow! The ramifications of that…geesh. My very first thought after seeing that was, will that accident get Locke to walk again? 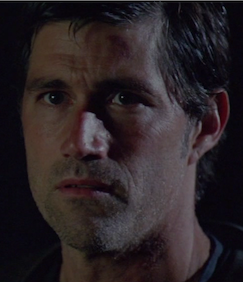 Second, maybe that was Desmond’s way of getting Locke to have a near death experience so he could see himself on the island. Harsh. Third, maybe the Locke we’ve been seeing in the “sideways” world isn’t Locke at all. Maybe that’s really the Man in Black, who’s taken over as Locke in this world and Desmond really was trying to kill him? The preview for next week looked great too. I loved they used the Gene Wilder chant from “Willy Wonka and the Chocolate Factory”. Sure looked like Sayid was headed out to shoot Desmond, didn’t it? 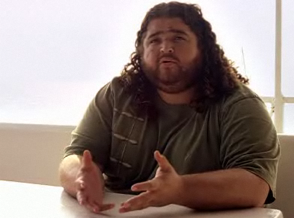 Finally, did anyone notice Hurley looking into a mirror in this episode, as so many others did in their episodes? So, what did you think of this episode?